It’s the time for Bigg Boss 10 Elimination this week. After the leaks and news, there are speculations and controversies surrounding the eviction of Karan Mehra. Lokesh Kumari became the second person to get evicted this weekend on a surprising double elimination round this time. Did you want Karan Mehra out of the biggboss house? Was Karan Mehra eliminated even after getting more votes than Monalisa and Rahul? What do you say? The summary of the today’s whole episode Bigg Boss season 10 19th November 2016 Day 34 will be updated soon here. Don’t forget it’s the most controversial reality tv show in India. The Big Boss season 10 is kinda unique as it has invited commoners, too, to participate and play alongside the celebrities. At many times, commoners overshadowed celebs. There have been a lot of developments since the premiere of BB 10 on the Television. Check: Om Swami Breaks Down When Salman Khan Scolded. Salman Khan is coming this week with a double elimination on Weekend Ka Vaar. Two of the contestants will get eliminated. 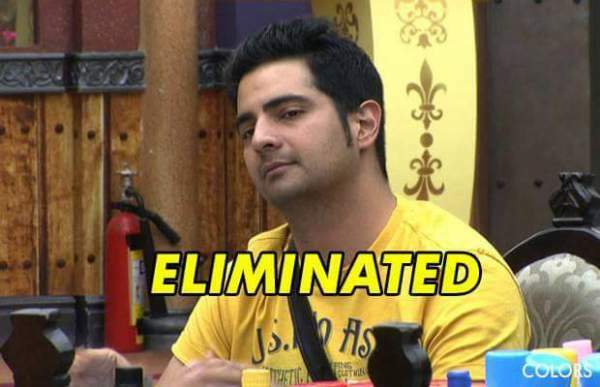 Karan will be eliminated from the celeb group while Lokesh Kumari from the commoner’s group. The elimination of Lokesh Kumari came as a shock to many as she was one of the entertaining contestants inside the house. On the other hand, there were mixed responses on the Karan’s elimination. He has been known as Naitik for his role in the Star Plus’ daily soap Yeh Rishta Kya Kehlata Hai. Karan has a massive fan following and thus, almost all of his fans got shocked hearing his eviction news. On the other hand, viewers also felt that he wasn’t much active on the show and thus, the creative team of the Big Boss flushed him out even after getting more votes than others like Monalisa and Rahul. Seen as a gentleman on his YRKKH show, Karan managed to remain the same inside the BB house and kept himself away from major fights and arguments so far. A large proportion of viewers found him least entertaining and least active among the celebs. Earlier, he was saved by his fans when he got stuck in the same situation. Then, what went wrong this time? Do you think Karan’s eviction was pre-planned? Stay tuned for more on bigg boss eviction. best elimination.this elimination is not plained.big boss is follow by sms voting.so karan had geted low votes.thats why he got eliminated. You cannot win any game by being complacent and lazy. You have to stand up for good values & morals. Karan did not do that. Bigg Boss is about strong character and not hiding behind others.